We serve the Washington DC. Metro area. We are glass and glazing specialists. 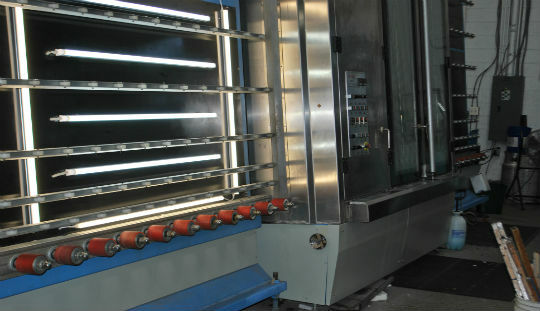 Since 1995, we also manufacture insulated glass products. We take pride in our craft and workmanship regardless of the size of the job. Regal Glass, Inc. is the third generation of the family-run glass and glazing business. The business was started in the 1930's by the grandfather of William N. Breeden, President of Regal Glass, Inc. During the 1960’s, William’s father began Breeden Glass. After many of years of learning the ins and outs of the glass industry, William started his own endeavors. He started a company called Regal Enclosures back in October of 1990. Regal has grown considerably since that time as a result of a vision of greatness. In short, Regal Enclosures’ vision was to become the standard by which others are judged. Effective December 1, 1994, Regal Enclosures became Regal Glass, Inc.
© 2018, Regal Glass, inc. All Rights Reserved.